Owning a home means navigating the murky waters of household maintenance and repair. When appliances and other electronics break down and need to be fixed, a home warranty plan from TotalProtect® is the perfect tool to make sure you don't get hit with exorbitant expenses. Home protection is important, and many families plan for the worst with repair savings accounts. However, this can be very costly and requires strict monitoring and discipline. Keeping your appliances and home systems covered with a full home warranty is the safest option for when something inevitably goes wrong. Unfortunately, new appliances may look nice and feel reliable, but the fact of the matter is many brand new household appliances like washing machines or refrigerators may not be as durable as their heavy price tag might suggest. According to Next Avenue, many new appliances breakdown less than four years after a purchase. For example, 20 percent of new dishwashers experience some sort of malfunction within their first several years of use. For front-loading washing machines that number jumps to 25 percent, and anywhere from 28 to 36 percent of brand-new refrigerators breakdown depending on the model. New appliances break down more often than you might expect. These repairs can be frustrating to say the least and may often be very expensive. 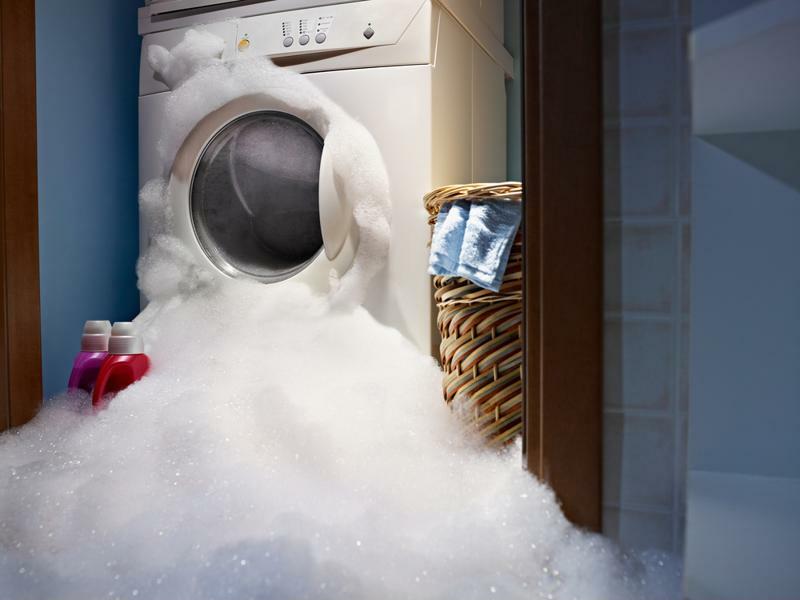 Next Avenue stated that there are so many faulty appliances for complicated reasons. "Consumer-product companies must always be releasing new products. That means rapid product launches and short product life cycles. Design, engineering, manufacturing and especially testing get short shrift." Regular home owners may be left out in the rain due to this new paradigm of appliance manufacturing, and some of these breakdowns can be very serious. According to Consumer Reports, 32 percent of broken down appliances worked poorly following a malfunction, and a whopping 53 percent stopped working altogether. With the threat of a broken appliance seemingly looming in every kitchen, homeowners need to be ready to react when things go awry. Some families opt to put money aside to prepare for any unforeseen expenses, but that route can be risky or impossible. Go Banking Rates reported that 62 percent of Americans have $1,000 or less in total savings. This would imply many families simply cannot afford to set aside extra money to deal with a broken home appliance. A repair savings account might simply be out of the question. For families that can afford to set aside extra money, this may prove difficult. Not only is it possible to rationalize reallocating those funds for a different home emergency, but that money may look appealing when it comes time to plan a family vacation. Home Advisor reported that some appliance repairs can cost several hundred dollars, so anyone relying on a savings account will need to be especially disciplined with their money. TotalProtect home warranty plans are the best form of home protection. TotalProtect partners with professional technicians across the country, saving home owners the hassle of tracking down a reliable handyman. These technicians are trustworthy and transparent, and a scheduled repair under a TotalProtect home warranty comes at a low, fixed rate. Home protection also comes with replacement programs should any appliances be broken beyond repair. For that reason, the peace of mind and convenience that comes with a TotalProtect home warranty plan is unmatched.